Fall asleep faster and stay asleep longer with the best Fan Noise on the Internet! TMSOFT’s Box Fan White Noise Sound has been streamed over 21 million times! The Box Fan noise was professionally recorded and perfectly looped to aid in relaxation and sleep throughout the night. Find the popular sleep sound online for free or on every popular music streaming service including Spotify, Apple Music, iTunes, Amazon, and Google Play or download one of our White Noise apps to discover alternative fan noises and other free sleep sounds. Below learn the science behind why the box fan noise helps you sleep and more. 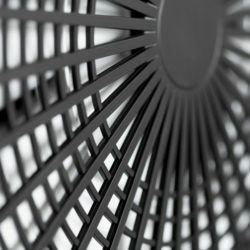 Fans are one of the most popular sleep sounds. The sound induces sleep by producing a wide range of frequencies which masks unwanted noise resulting in an uninterrupted sleep. Save on space and energy consumed by your current fan and stream the medium-speed fan sound for free. Even when you are asleep, your brain is scanning and listening for sounds. If it is too quiet, unwanted noises, such as faucet drips or noisy neighbors can interrupt your sleep. The motor of the fan generates white noise by producing a wide range of frequencies. The frequencies mask those unwanted noises which allows you to fall asleep faster and stay asleep longer. Stream directly from this website or across all digital music stores including Spotify, Apple Music, iTunes, Amazon, and Google Play. If you don’t pay for a streaming app you can also access 10 Hours of the Box Fan sound for free on our YouTube Channel. Or download the White Noise App to your mobile device and take this sound plus thousands more with you on the go. The Box Fan Sound is our most popular noise but everyone has different tastes in fan noises which is why we added More Fan Sounds! Listen to Oscillating Fan, Air Conditioner Fan, Kitchen Fan, Bathroom Fan, and Garage Vent Fan to see if you prefer these fan sounds over the popular Box Fan Sound. Visit the TMSOFT website and read this in-depth article on how white noise helps you sleep as well as the differences between colored sounds including white, gray, brown, pink, blue and violet noise.